Be sure to check out my video for this review for more insight and swatches. So I have to admit, I really do not know who One Direction is. 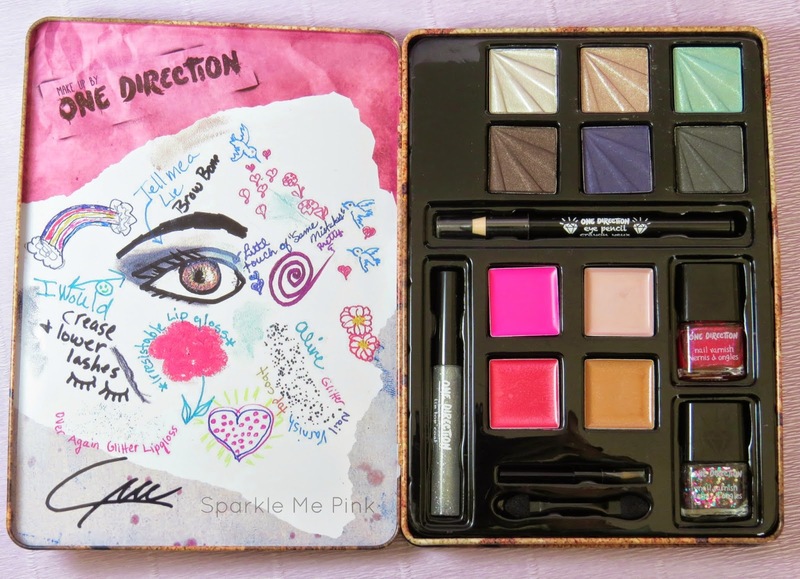 But what I do know is that they are adorable, I love make up and these cutie patuties came out with a Limited Edition Make-up by One Direction palette. Which I just had to try out ! 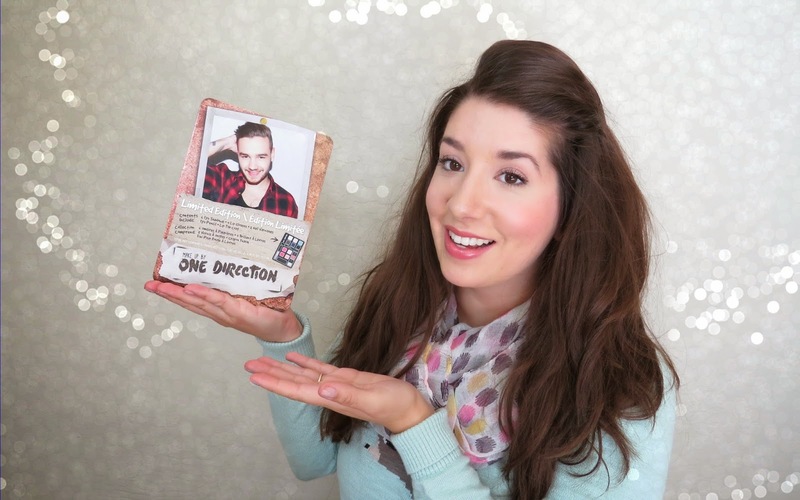 There are a few other collections to the 1D make-up line but this is the first one I've tried from them. 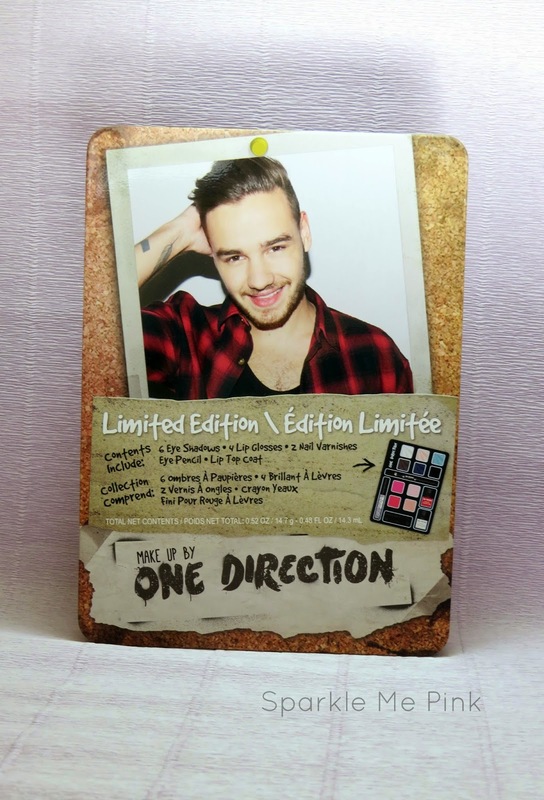 Overall, I think this palette would be the perfect gift for that teen or tween that is a One Direction fan. Perhaps someone who is just starting out with makeup or just plain loves the band. My favorites are definitely the top row of shadows and the 2 nail polishes. 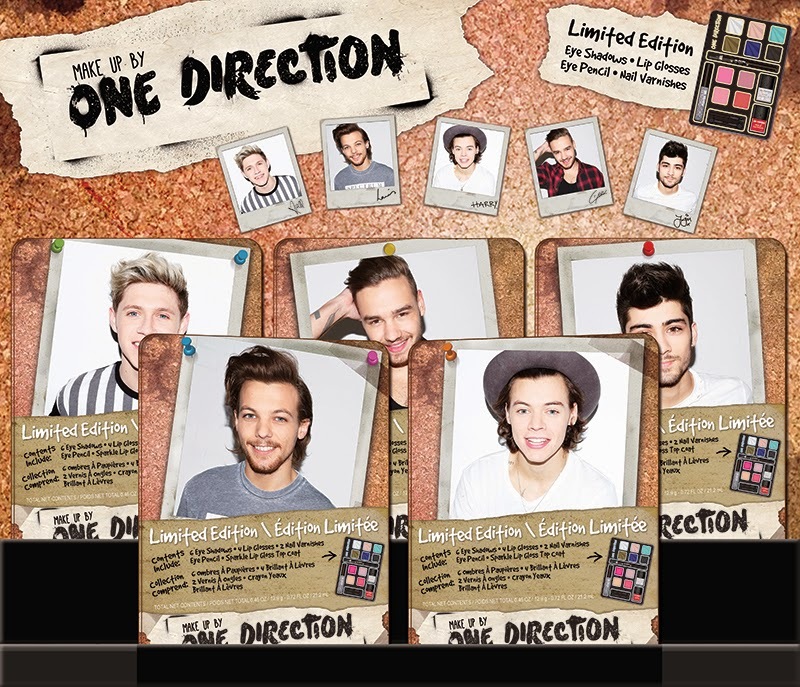 There are 5 Limited Edition Tins available (1 for each band member). What do you think about this palette ? Are you or do you know someone who is a huge 1D fan ?! 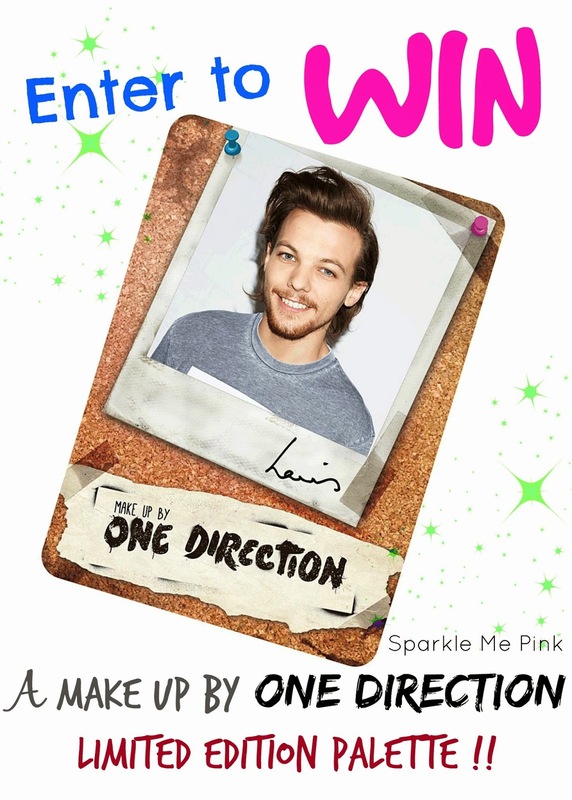 Want to win a Louis palette ?!?! Enter below for your chance to win ! Winner MUST reply within 48 hours to claim their prize or another winner will be chosen !! Only entry per household. Sparkle Me Pink is the only one responsible for the delivery of this prize. If you have any questions please reference my disclosure policy page or email me. (sparklemepink88@gmail.com) This giveaway is not sponsored by, endorsed by, associated with, or affiliated with Facebook, Twitter, Youtube or Pinterest in any way. I just discovered your videos yesterday. I really like your personality, it feels like I'm talking to a friend. Really excited for this competition!